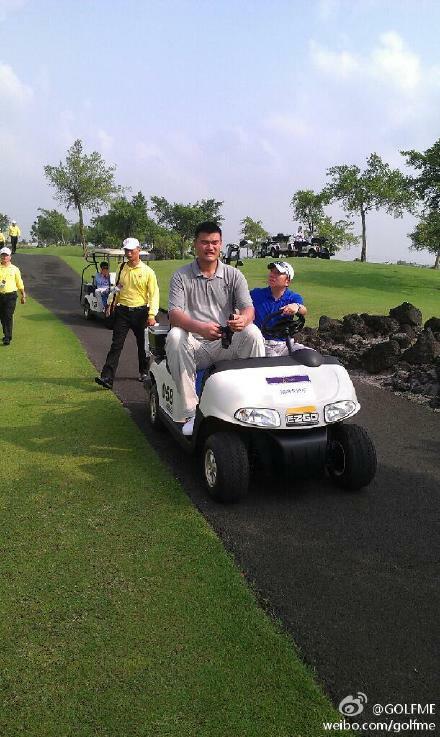 Another photo of Yao Ming riding on the E-Z-GO golf cart.....but this time, Ye Li was doing the driving !!! 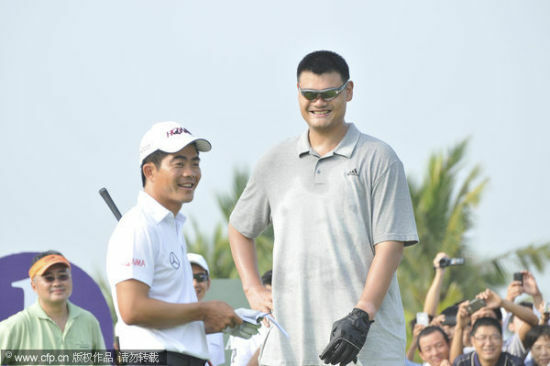 Yao Ming woke up very early this morning (October 19) cos he and Liang Wenchong are the very first pair to tee-off in the Pro-Celebrity game. 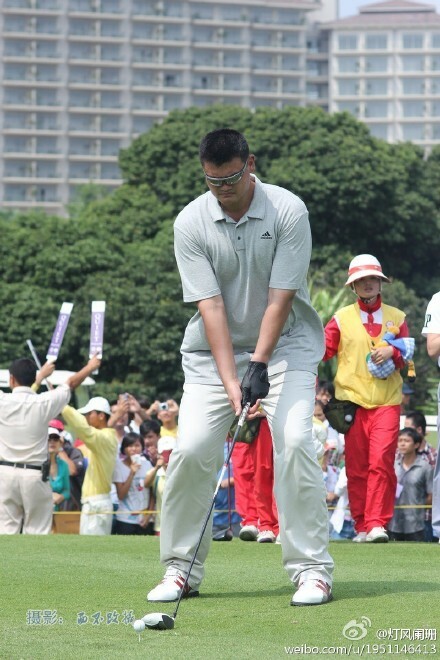 So he had to go for a few more practice for his tee-off/driving before the game began. 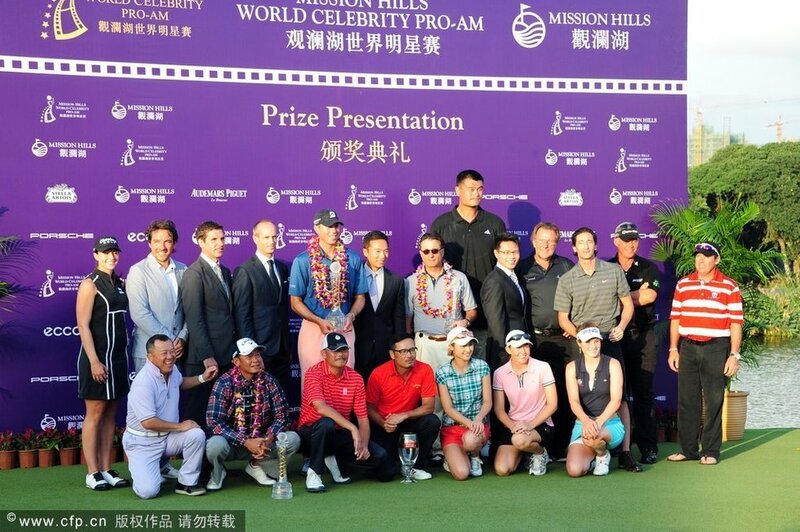 He met a few other celebrities on the way to the golf course and took pictures together with them: South Korean actor Jung Woo Sung and Canadian actor Ryan Reynolds. 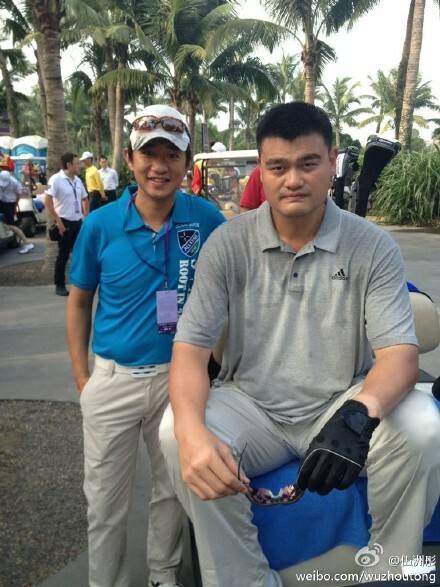 I wonder whether Adidas had signed him up.... His Reebok contract should have expired, and this is the 2nd consecutive day that he wore an Adidas !!! 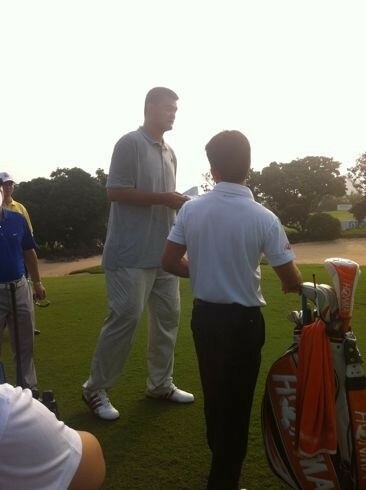 Big Yao plays NOT AS BAD AS I thought !!! 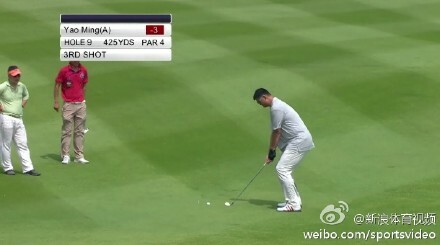 2 consecutive birdies for Hole 4 and Hole 5 !!! 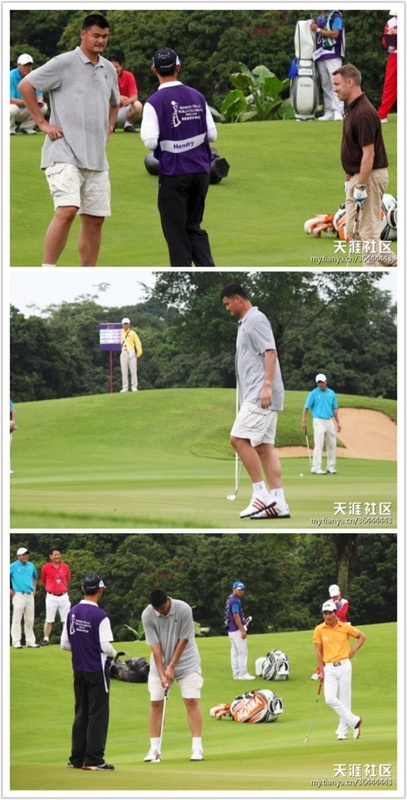 Some early photos of Yao Ming in this morning Pro-Celebrity competition. 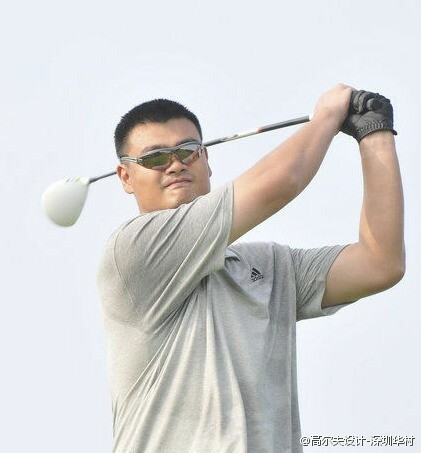 Liang Wenchong is his partner. 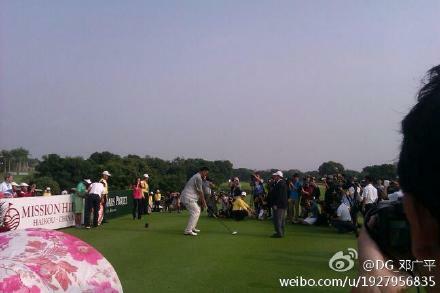 The competition is still in progress, and will last for 18-holes until 15:00 pm in the afternoon. 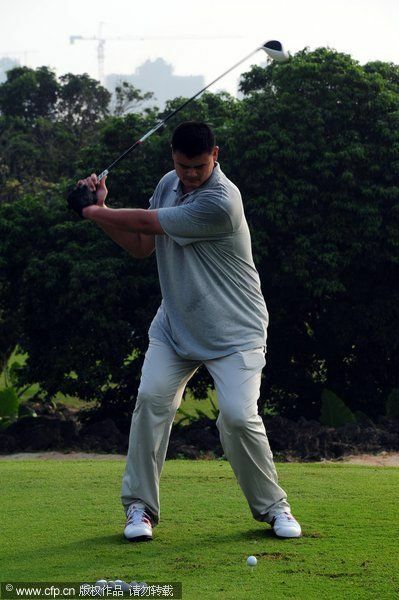 NOT BAD AT ALL !!! 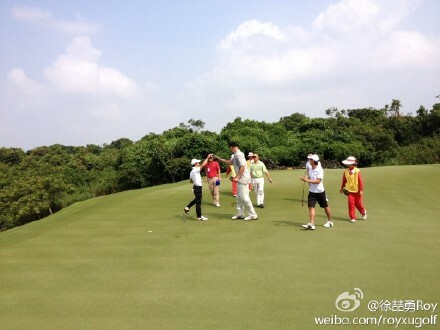 Under par 3 at Hole 9 !!! 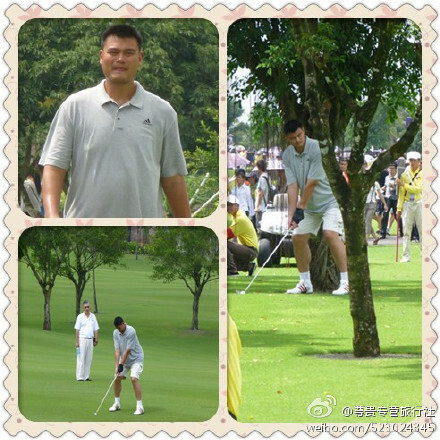 So Big Yao did not finish LAST of all the Pro-Celebrity group. 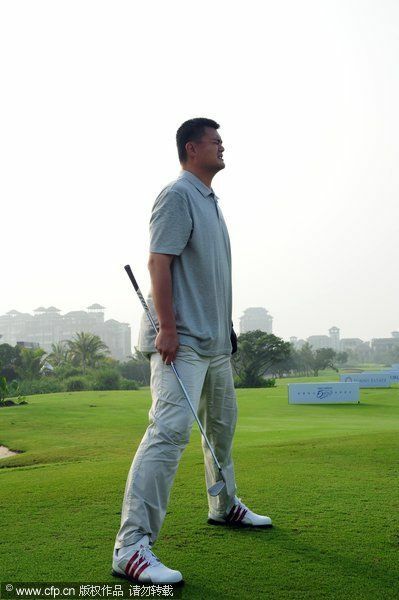 The Group led by Liang Wenchong + Yao Ming plus 3 other amateurs finished at 68, 5 under par to finish tied 18 place out of a total of 36 groups. 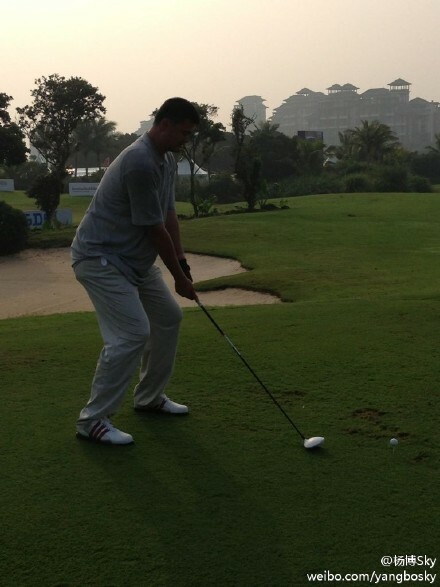 Grand slam champion Darren Clarke's group and Kathleen Ekey's group were tied for #1 at 61 pars, 12 under par. Both Ronaldo and Andy Garcia played brilliant. 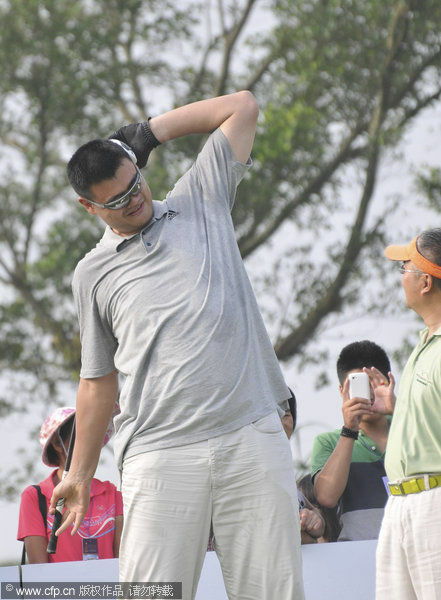 They were calssified as amateur, but they led their group as professional to finish tied 3rd at 62. 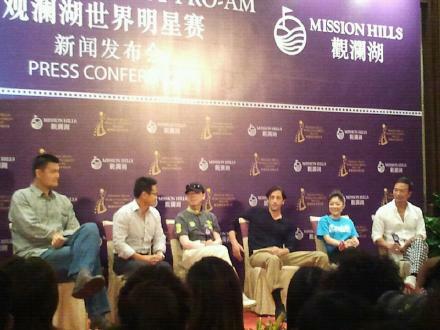 Big Yao then attended the 3rd press conference thrown by Mission Hills Group together with Adrien Brody, Charley Yeung (Hong Kong actress), Feng Xiaogang (Chinese movie director), and left their hand prints afterwards for Mission Hills Group. 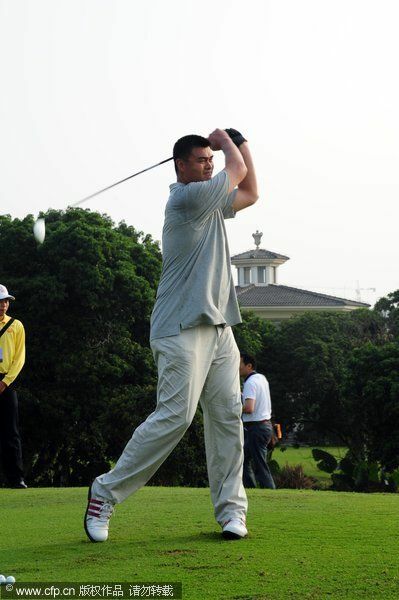 Here are MORE photos of Big Yao swinging his golf club as well as in the press conference. 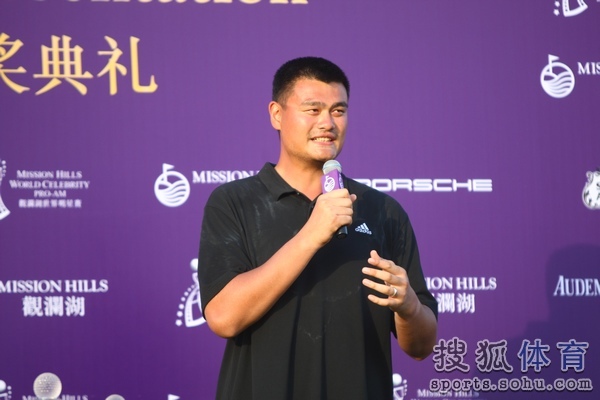 The Mission Hills Group threw a red carpet ceremony, a cocktail and then a charity gala last night (October 19) to raise fund for UNICEF and Yao Foundation. 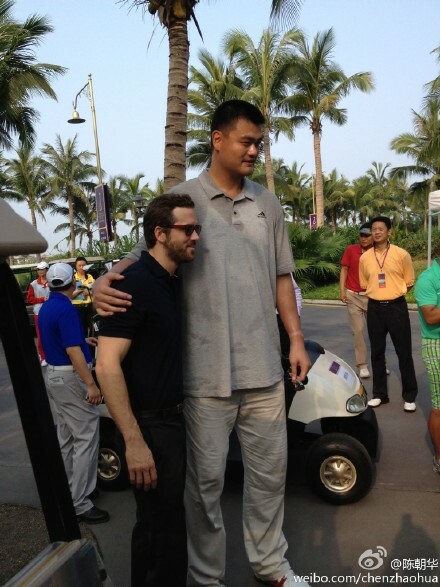 So all the Who's Who in China, Hong Kong, Taiwan, and the invited guests from Hollywood were all there. 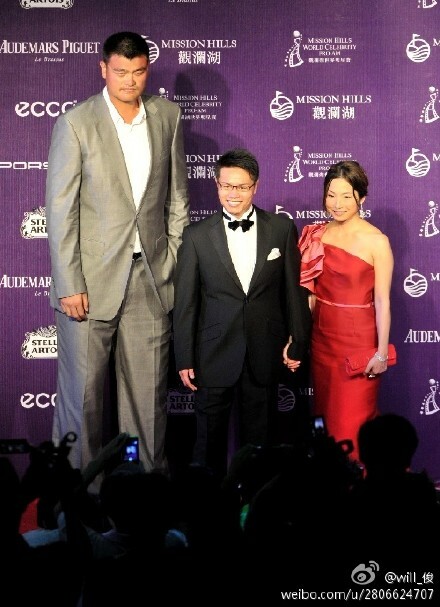 Hong Kong celebrities like Eric Tsang, Sammo Hung, Donnie Yen, Simon Yam, Nat Chan Pak Cheung were all there. 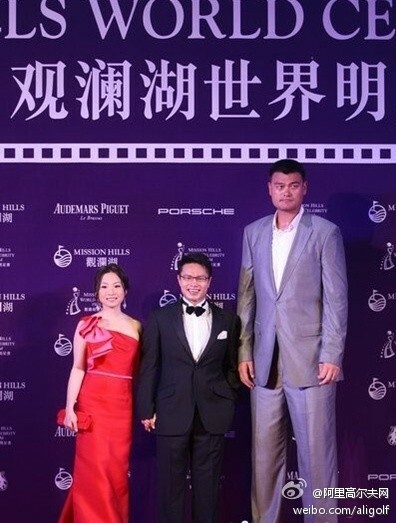 Yao Ming was the last one to appear in the red carpet ceremony together with the Ken Chu, Chairman and CEO of Mission Hills Group and his wife. 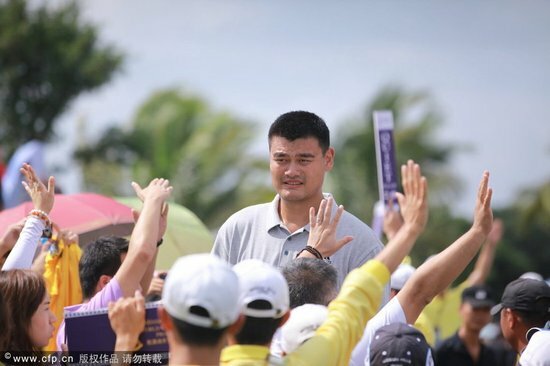 Strangely Big Yao did not bring along his wife Ye Li, probably like Big Yao, Ye Li is very low profile, quiet, shy and soft-spoken and does not like to be under media limelight. Tons of photos from last night's red carpet ceremony/charity gala. 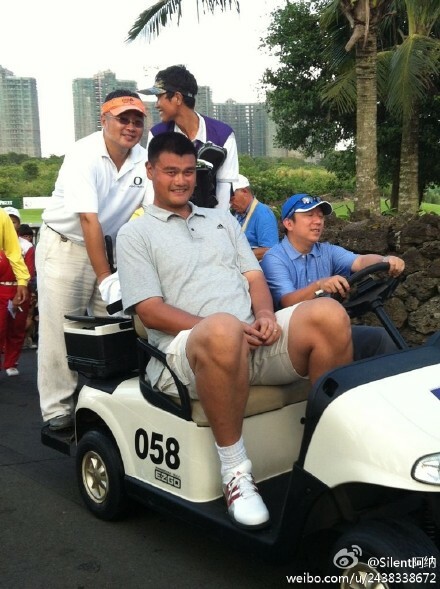 Geeeeeez, this could be the MOST golf time for Big Yao since picking up the sports. 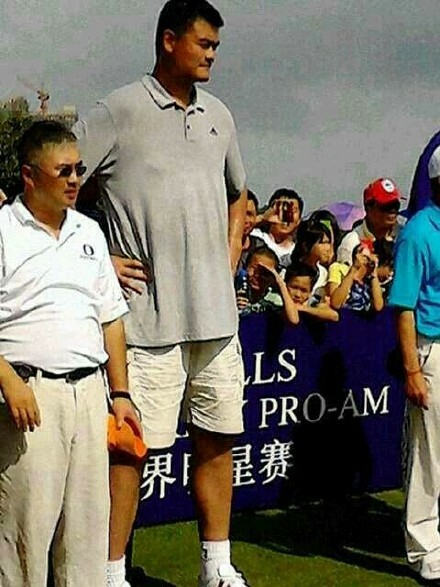 Today (October 20) is the tournament proper for Pro-Celebrity. 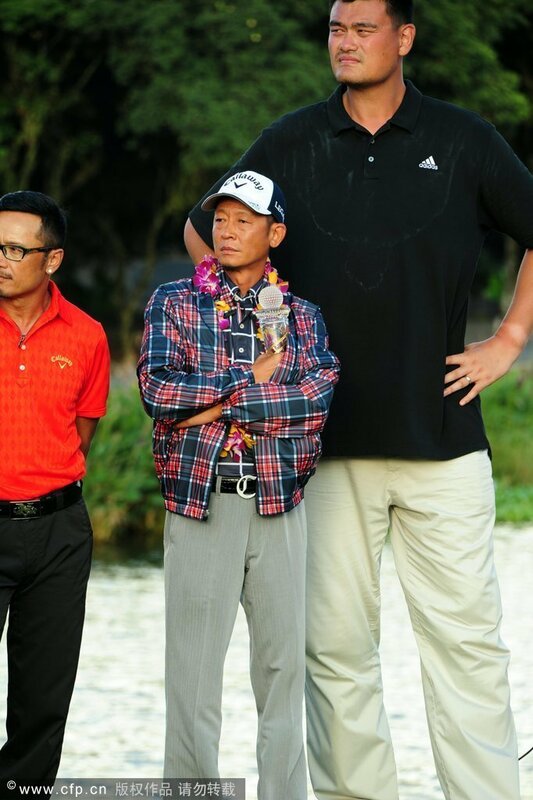 Unlike yesterday, a pro is only paired with one amateur. 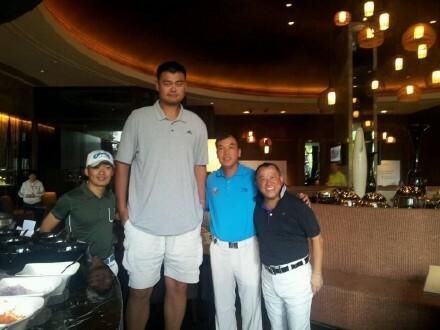 Yao Ming still partnered with Liang Wenchong. 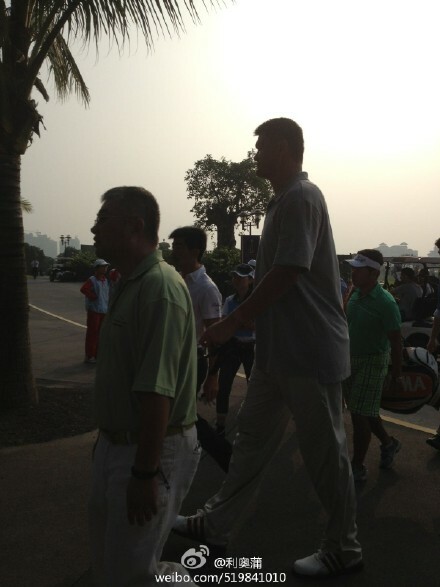 Yao Ming woke up early and went for his practice. 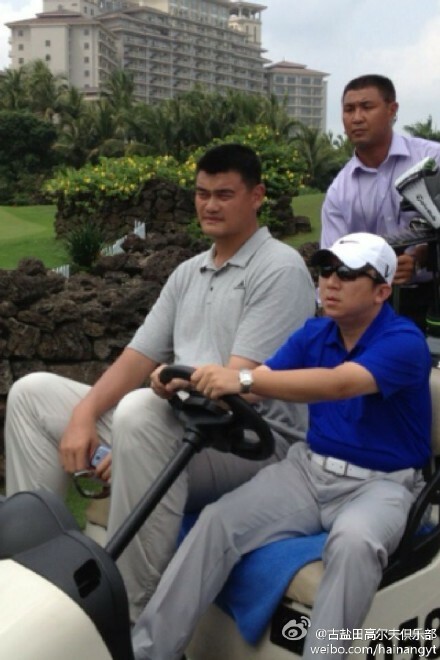 He was doing pretty well and he even won a bet and had his friend doing push ups for a drive over 200 some yards. 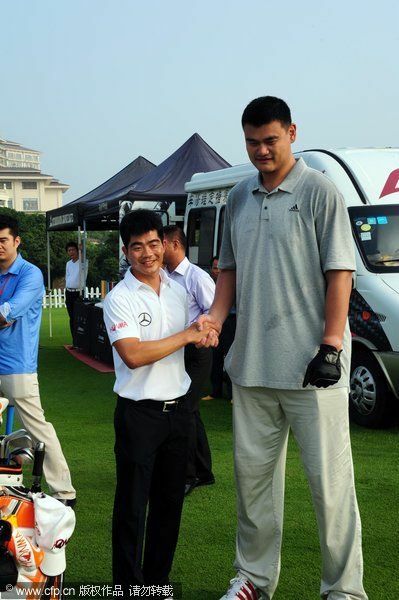 And when Ronaldo showed up for his practice, Ronaldo went over to borrow Yao Ming's secret weapon and was amazed that Yao Ming's tailor-made club is much longer and heavier than his. 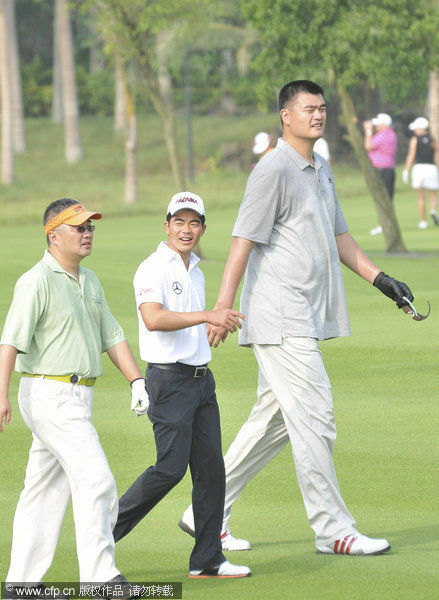 But when the tournament started, Yao Ming found things going tough for him. 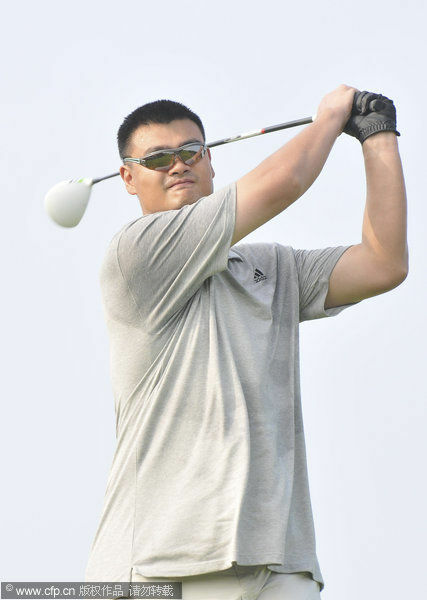 He did not play well today, and his very first tee-off shot for Hole 1 flew some 200 yards but went straight into the wood. 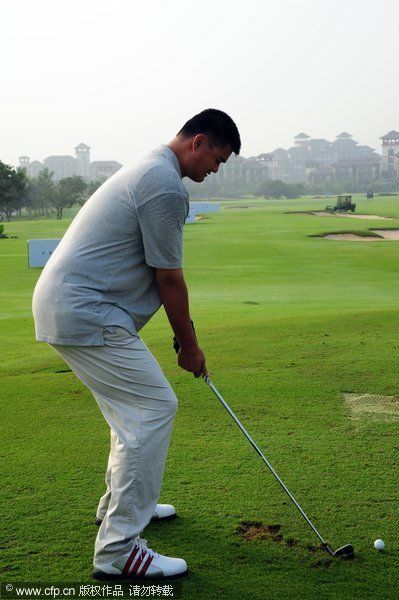 And he was called the King of Bunker as he often drove his shots into the bunker; when he tried to save the shot, he drove the ball into the other bunker; he also shot a few times into the pond. 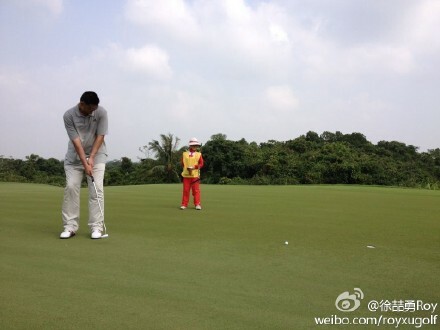 So he had a bad day, but he strived to complete his 18 holes today. 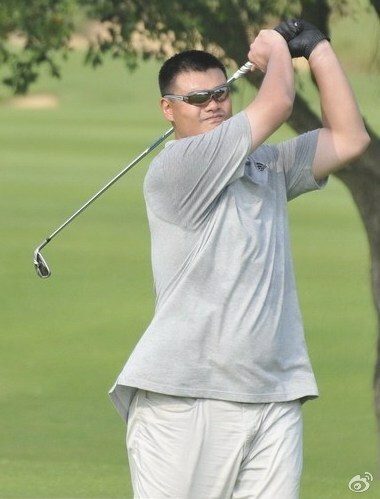 Another 18 holes await him tomorrow !!! 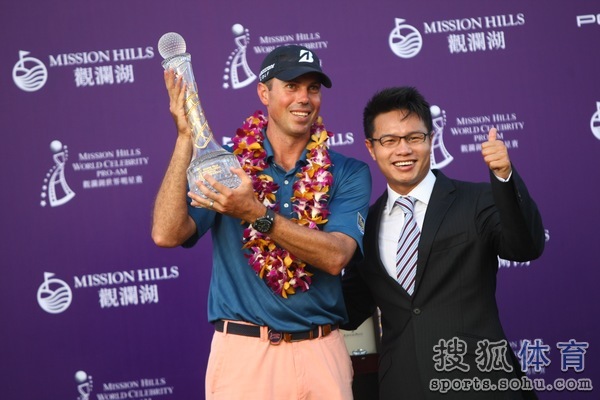 So the 2012 Mission Hills World Celebrity Pro-Am tournament came to a successful closure. 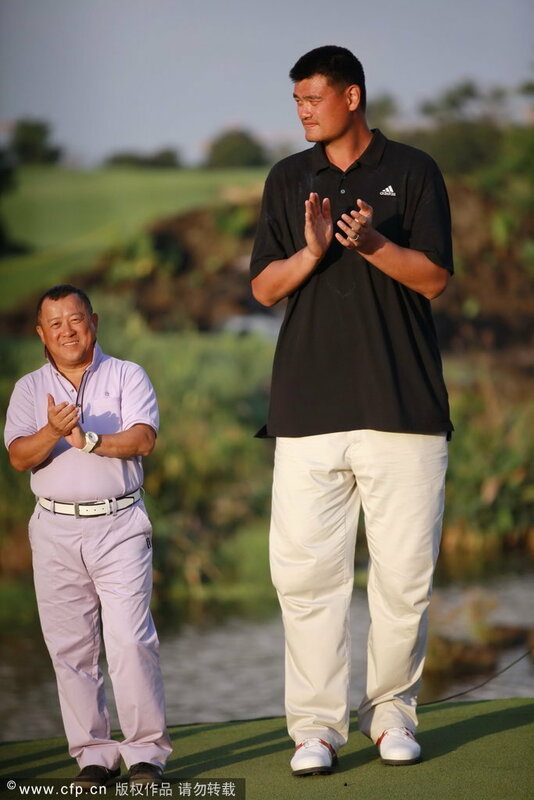 Yao Ming also completed his first ever official tournament; 4 days of golf with 3 days of full 18-hole competition. 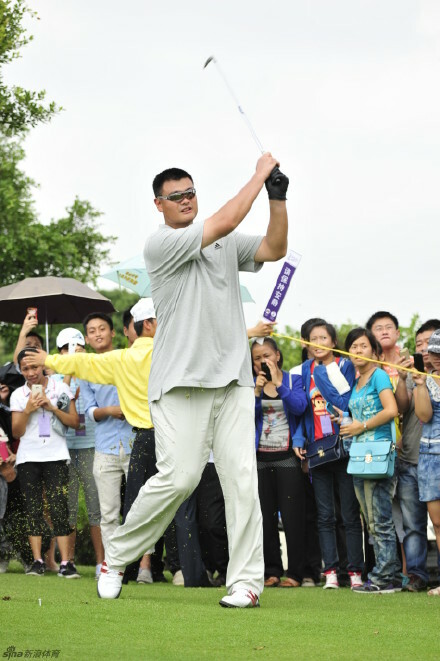 He did pretty well for a beginner who had just picked up the sports in less than 6 months; compared with other that had played golf for such a long time (Andy Garcia for 27 years, Eric Tsang and Wang Zhiwen for 20 years), he finished tied 13 with a total points of 76 in the celebrity amateur section of 24 contestants. 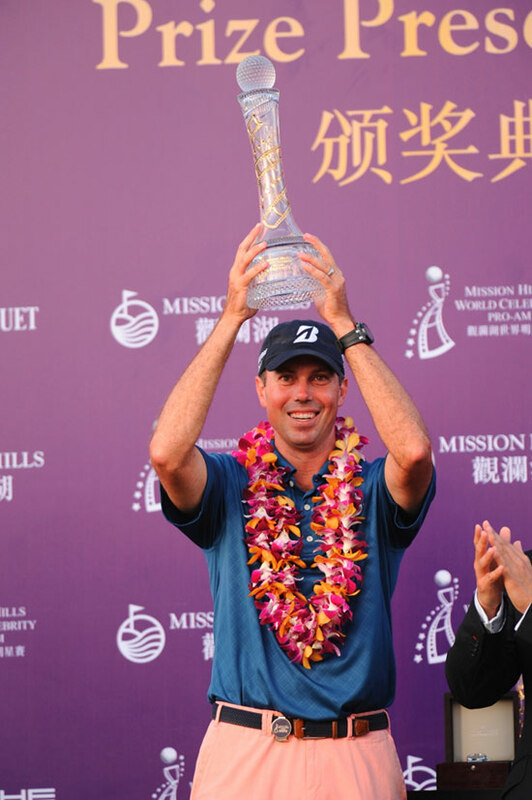 The Pro section was won by world ranked #6 Matt Kuchar who won the grand prize of US$ 240K, an exquisite Waterford crystal trophy and a Porche race car. 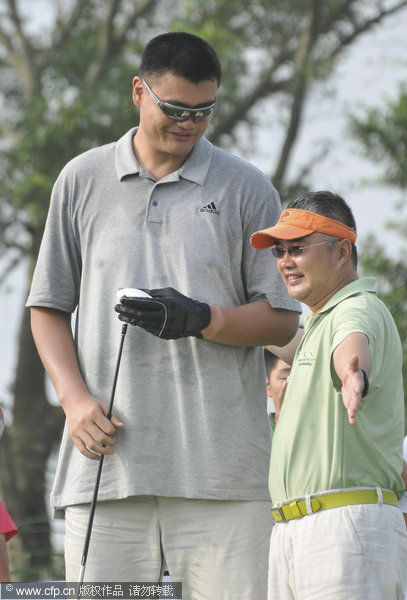 Yao Ming's partner Liang Wenchong came in 3rd. 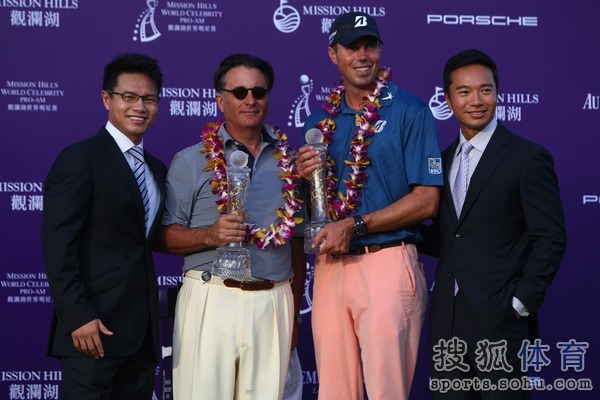 Matt Kuchar and Andy Garcia won the Celebrity Pro-Am team competiton. 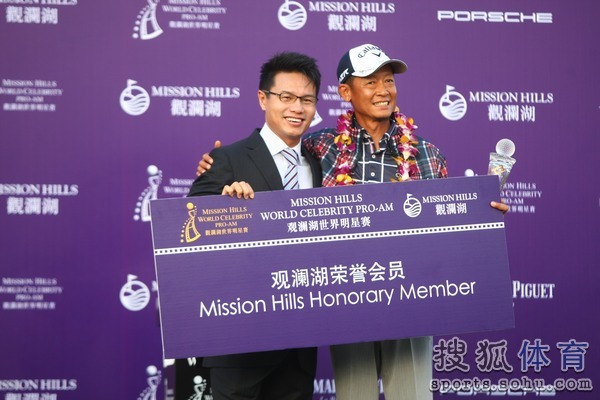 In the Celebrity-amateur section, Chinese actor Wang Zhiwen , a 20-year-veteran, was the champion and as a prize for his victory, he becomes a lifetime honouree membership at Mission Hills. 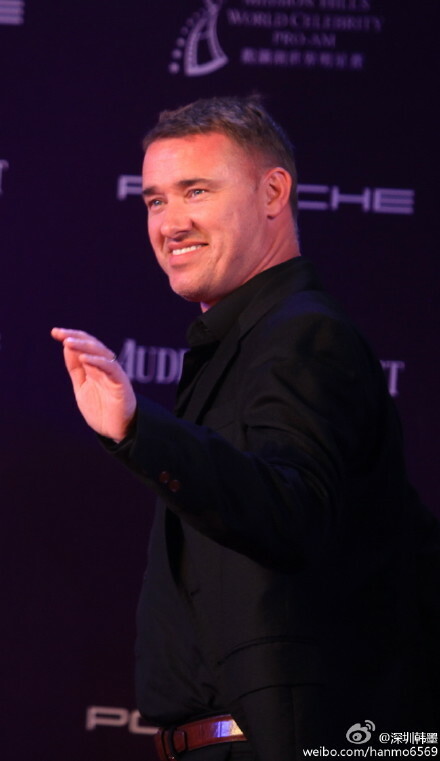 Stephen Hendry finished 5th, Michael Phelps 10th, and Ronaldo, 15th. 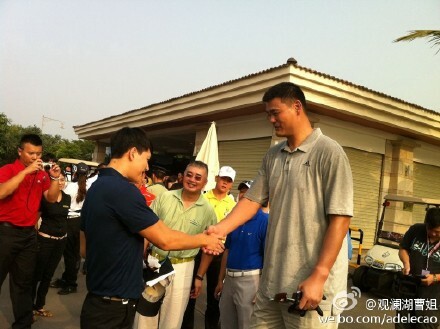 Here are some photos of Big Yao in yesterday's competition and at the award ceremony. 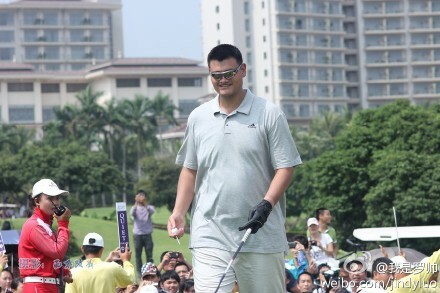 Yao looks more and more like a big cow.